Digit reduction occurs many times in tetrapod evolution, and the most famous example is the ‘horse series’ of North America. An international research team announced the discovery of two new Chinese dinosaurs: Bannykus and Xiyunykus, in the journal Current Biology, which shed light on how alvarezsaurian dinosaurs reduced and lost their fingers. 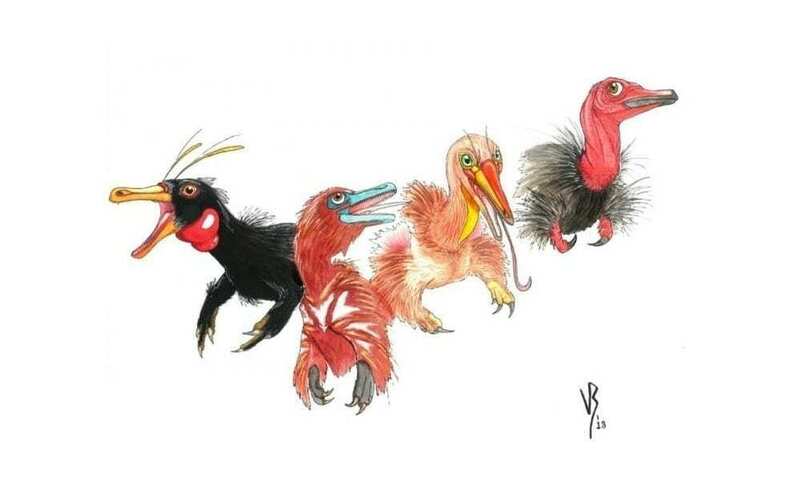 The new dinosaurs are based on two fossils collected by a joint research team led by XU Xing from the Institute of Vertebrate Palaeontology and Palaeoanthropology (IVPP) of the Chinese Academy of Sciences. Xiynykus was discovered in 2005 in Zhunggar Basin, northwestern China, and Bannykuswas discovered a few years later in 2009 in western Inner Mongolia, north-central China. The new Alvarezsaurian dinosaurs are among the most bizarre groups of theropods, with extremely short, robust forelimbs with a single functional claw and gracile, bird-like skulls and hindlimbs. These specializations have led to controversy about their phylogenetic placement, biogeographic history, and ecological role in Mesozoic ecosystems. AT early times, unspecialized alvarezsaur fossils were the key to resolving this controversy, but until recently the group had at least a 90 million year gap in its fossil record, especially during the Early Cretaceous. The new dinosaurs fall nearly at the midpoint of the 90-million year temporal gap between the earliest and latest alvarezsaurs. They contribute key phylogenetic and biogeographic information that firmly resolves Alvarezsauria as a monophyletic clade originating in Asia and dispersing to other continents. The new findings show that clear anatomical specializations also present in later members of the clade, such as a hypertrophied first digit, mechanically efficient forearm, and robust humerus. However, they preserve plesiomorphic forelimb proportions not present in later-branching members.